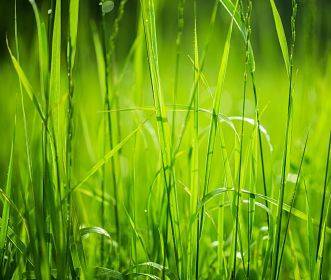 Maintaining a luscious and green lawn is best and easiest by getting one of those lawn sprinkler systems. Not only do they provide you with the convenience of watering your lawn automatically, they also ensure that your turf gets the optimal irrigation it needs. While lawn sprinkler systems might be rather costly, it is not true that they are a waste of money, or only for people who are too lazy to water their lawn. In reality, choosing a lawn sprinkler system could save you money because they ensure that you only consume the right amount of water for your lawn, keeping your water bills in check. Make sure you research which type of lawn sprinkler system is best for your particular landscape. We can help with that! An average sized garden can take at least an hour out of a person's day, simply spent holding a hose to water a relatively small area. Portable sprinkler systems can be forgotten, leading to huge water wastage and poor distribution, leaving some areas soaked and other areas too dry. Your most important asset is time and you will save a ton of it when you get your own automated sprinkler system. Choosing a lawn sprinkler system is essential to your lawn irrigation needs. Our team can help you analyze which kind of sprinkler system will suit your lawn best and reap you the most benefits every year. Spray Irrigation: This is the most common type of lawn sprinkler system. As the name suggest, water is sprayed directly over the lawn with this type. Long tubes are imbedded in the lawn, and are attached to a water source. Water will then shoot out of the tubes using sprayers. Usually a center pivot is used where there are fixed points that form a large irrigation circle. Sprinklers are installed on top of the tubes and rotated throughout the landscape. Such types of sprinkler systems are good for light soil types. They can also be controlled by an electric device, making operation easier and more flexible. Drip Irrigation: This type of irrigation is less common because it appears to be more complicated. Tubes with holes are buried under the turf. Holes are situated at set distances that are set specifically for the area where they will provide irrigation. The concentration of the holes can also be varied. Unlike the spray system, water is not sprayed into the air, but are sprinkled, or dripped near the plant roots, providing direct contact. Not only does this prevent people from getting went in the event that they pass through the lawn while water, drip sprinkler systems allow more precision when watering. Another great thing about drip sprinkler systems is that they use less water, saving you even more money while helping the environment. According to certain studies, drip systems use only about half the amount of water that spray systems use. Thus, they are quite economical and practical. First, check the capacity of the system to meet your landscaping needs. You might not need a complicated system for a small lawn area, but you might need something more complex for a large yard. You should also consider the water supply available as certain systems might need more water than others. Certain sprinkler systems may also be labor-intensive to install, if you plan to install them alone, you should consider the skills needed to use a particular system. The type of soil in your lawn should also be studied as some systems may be ideal to certain soil types. Lastly, you should check your budget and see if you can afford a particular type of sprinkler system. 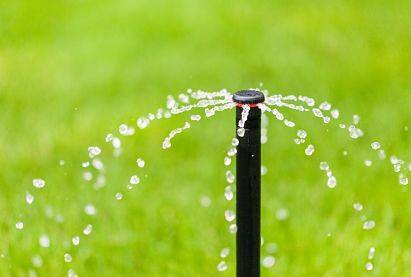 A healthy lawn needs a good irrigation method. Using a lawn sprinkler system is the most efficient and effective way of filling this requirement for having a good lawn. Choosing a lawn sprinkler system is important and we can help you do that. Call us at (847) 566-0099 or schedule a free quote today!